The Topic and Verse Guide is essentially a mega-index of the library resources available. Type in "Aaron," and you will instantly have a list of all book entries for Aaron. If you type in a verse reference, you will instantly have an exhaustive list of all book and commentary entries which hyperlink to that reference. 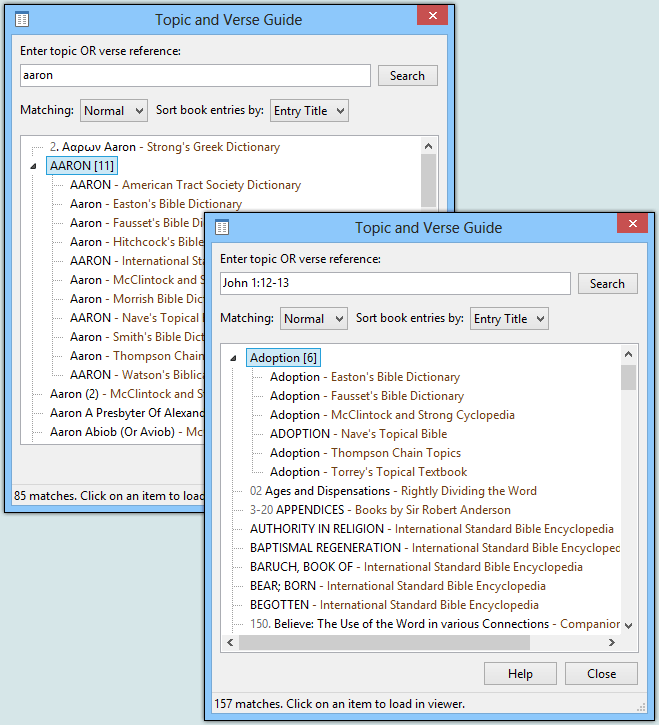 The Topic and Verse Guide can be organized by entry titles (as shown above), or by book.